Foster City is a planned city located in San Mateo County, California. Forbes ranked Foster City #10 on their 2009 list of America’s Top 25 Towns to Live Well. Money has also recognized Foster City multiple times as one of the Best Places to Live. Foster City is sometimes considered to be part of Silicon Valley for its local industry and its proximity to Silicon Valley cities. Foster City is home to four public schools in the San Mateo-Foster City Elementary School District. Foster City Elementary School ), Brewer Island Elementary School, and Audubon Elementary School serve kindergarten through fifth grades. Nathaniel Bowditch Middle School serves 6th through 8th grades. There are several private preschools and elementary schools. There is a separate High School District: San Mateo Union High School District. There is no high school located in Foster City so students attend the public schools in the San Mateo Union High School District and other private high schools in San Francisco Bay Area. All four public schools in Foster City (Audubon School, Brewer Island School, Foster City School, and Bowditch Middle School) have won California Distinguished School awards. In 1993, Bowditch was recognized with the U.S. Department of Education Blue Ribbon. 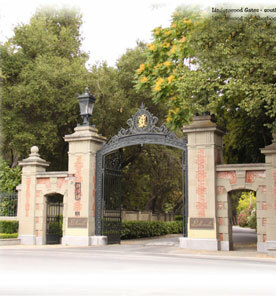 In 2005, Bowditch became a California Distinguished School for the second time. A third recognition was given in 2013. Foster City has one private Jewish day school: Ronald C. Wornick Jewish Day School is a kindergarten – eighth grade school. It was rated the number one Jewish day school in the South Bay/Peninsula. Foster City also has one private elementary school: Kids Connection is a kindergarten – fifth grade school. Early in its history, the City of San Carlos adopted the motto “City of Good Living”. That phrase stuck and is still used daily. 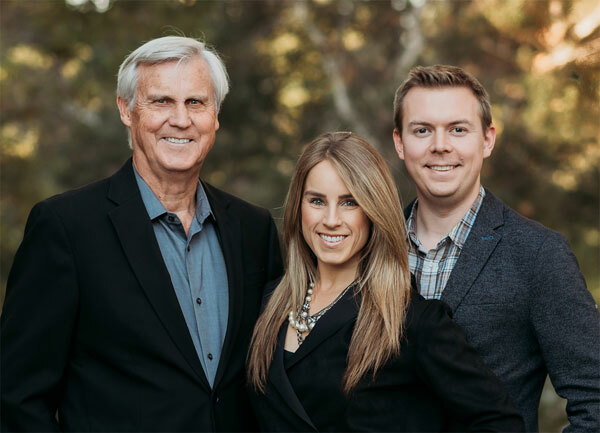 With an ideal climate, charming neighborhoods, a thriving business/industrial district and a small airport with an adjoining commercial area, San Carlos continually attracts new residents and businesses. The “City of Good Living” strikes a fine balance between the picturesque neighborhood of its residential areas and the industrial area east of the railroad tracks. The quality of life here is top-rated, with outstanding schools, excellent services for youth and seniors and wonderful recreational and educational activities for all ages. The City also boasts of an unusually low crime rate. In recent years, citizens overwhelmingly endorsed bond issues to build a beautiful library and to upgrade local parks. A volunteer effort, spearheaded by San Carlos Rotary Club, was responsible for the conceptualization and building of an extensively used Youth Center. There’s plenty of change elsewhere in the city too. Holly Street, the city’s main artery from Highway 101, was elevated at the Caltrain tracks to end the persistent bottleneck there. The construction was a joint project with the neighboring city of Belmont. San Carlos residents are served by the San Carlos Elementary School District (SCSD). The District serves approximately 3,200 students in Kindergarten through 8th grade and includes seven schools: four K-4 elementary schools, two 5-8 middle schools, and one K-8 charter school. Beyond 8th grade, students are served by the schools of the Sequoia Union High School District. The City of Redwood City is a San Francisco Bay Area community located in the heart of Silicon Valley, the technology-rich region extending from the San Francisco Peninsula to the foothills of the Santa Cruz Mountains. Redwood City is the third largest city within the County of San Mateo, with 82,881 residents. The city enjoys an average of 255 sunny days a year, which it boasts via the city slogan: “Climate Best by Government Test”. Incorporated in 1867, Redwood City is home to the San Mateo County History Museum (located in the county’s old courthouse) and the only active deep water port within the south bay of San Francisco. The city’s vibrant downtown, quickly becoming known as the entertainment hub of the San Francisco Peninsula, offers residents, visitors, and businesses a unique retail, entertainment, and restaurant experience. The Redwood City School District is committed to providing the very best Tk-8th grade education to your child. Our schools offer innovative, integrative and interactive approaches to learning, ensuring that your child will not only learn the basics, but also become well-prepared for high school, college and careers. Redwood City has one community college, Cañada College. It has elementary and middle schools operated by the Redwood City School District and several public high schools in the Sequoia Union High School District: the comprehensive Sequoia High School, the charter schools Summit Preparatory Charter High School and Everest Public High School, and the continuation school Redwood High School. Many students from Redwood City attend Woodside High School in the neighboring town of Woodside. Menlo Park is an affluent city at the eastern edge of San Mateo County. Menlo Park is one of the most educated cities in the state of California and the United States, with nearly 70% of its residents having earned an advanced degree. In addition, Menlo Park was ranked in the top 15 US cities in CNN’s “Best Places for the Rich and Single” to live. 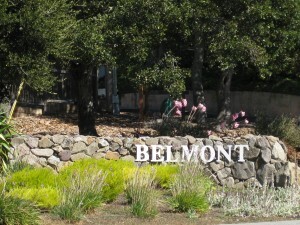 Much of Menlo Park’s economy centers around the companies on Sand Hill Road, consisting of venture capital, private equity, financial services, law firms, and other professional service companies and investment vehicles focusing on technology. Geron,Robert Half International, Exponent, Sunset and SRI International are among the companies based in Menlo Park. Facebook moved its headquarters to the former campus of Sun Microsystems in Menlo Park in December 2011. We are a community working together to inspire high academic achievement among all students, serve their needs, challenge their minds, and enrich their lives, laying a foundation for success and participation in our democratic society and as citizens of the world. VISION: Every child achieves academic excellence. Every child becomes emotionally and physically stronger.Every child discovers and grows their talents. Atherton is a small, rural, and residential community, with no industrial land-use base. 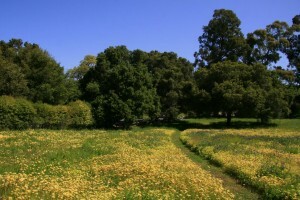 Native live oaks, white oaks, bays, redwoods, cedars, pines, and other ornamental trees cover the six square miles of town.In September 2010, Forbes magazine placed Atherton’s ZIP code of 94027 at #2 on its annual list of America’s most expensive zip codes. In October 2013, 94027 was placed at #1 on the list. Atherton is one of the wealthiest cities in the United States. Among Atherton’s public schools, Encinal, Las Lomitas, and Laurel are elementary schools, while Selby Lane is both an elementary and a middle school. Menlo-Athertonis a high school. Atherton does not have its own public school system. Selby Lane is part of the Redwood City School District, the high school is part of the Sequoia Union High School District, Las Lomitas Elementary School is part of the Las Lomitas Elementary School District, and both Encinal and Laurel are part of the Menlo Park City School District. Among the town’s private schools, St. Joseph’s is an elementary and middle school, Sacred Heart Preparatory is a high school, and Menlo School is a middle and high school. Surrounded by wooded hills, this pristine and picturesque town of 4500 residents is located just west of Stanford University in a green and gold valley astride the world-famous San Andreas Fault. The Town values its environmental and historic heritage, its excellent public schools and its economical Town government supported by a multitude of volunteers. An extensive trail system, scenic roads, open space and natural views contribute to one’s feeling of being in the country, as do architectural guidelines that stress “blending in.” Commercial activity is encouraged to the extent that it primarily meets needs of residents of the community. These factors have enabled the town to retain a rural ambiance reminiscent of earlier days. The Town of Portola Valley has two public schools and two private schools within Town limits. Today, Woodside is among the wealthiest small towns in the United States. The intentionally small business district includes: a few restaurants; a grocery store; a saloon; a hardware and horse tackstore; an art gallery and picture framing store; a home and garden store; a cleaner; and a post office. 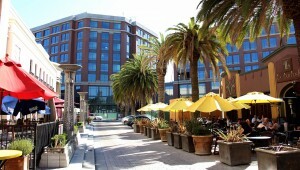 Outside of the business district are the Stillheart Institute educational event center, Skywood Trading Post, the Mountain Terrace event center, and restaurants including the Michelin starred Village Pub, and Buck’s of Woodside restaurant, known among Silicon Valley entrepreneurs as the location where many VC investment deals have been signed. Horses are part of the local culture. Numerous residents keep horses, and the town government maintains a network of horse trails. Some resident’s homes are even considered farms. The town is also popular among local cyclists and draws them in large numbers on weekends. The most popular road cycling routes include Old La Honda Road, King’s Mountain Road, Cañada Road, Southgate Drive, Skyline Boulevard and Highway 84. The Tour of California bicycle race includes several roads along and adjacent to CA-84 and Skyline Boulevard. Woodside Elementary School has approximately 300 students in Transitional Kindergarten through 5th grade. There is an average of 16-20 students per class and typically 3 classes per grade level. The school is known for its standards of excellence and rich, balanced curriculum which provides many opportunities for student success. The achievement level of students is among the highest in the state, as well as students excelling in the arts, science, and athletics. With more than 93 percent of students going on to college following graduation, Woodside offers a full range of Advanced Placement and advanced standing classes that meet admissions requirements for all top schools. Along with its strong “a-g” college-preparatory focus, Woodside welcomes and supports all students in fulfilling their maximum potential, and particularly those students whose needs are greatest. Specialized support ranges from one-on-one, small group and skill-building classes for students below grade level to academic planning, coursework and support for English Learners and students with special education needs. Access to the core college preparatory curriculum is provided to all students at Woodside High School. Opportunities are available for students to take courses at local community colleges for enrichment and vocational exploration.